Bergen Water Gardens is excited to offer some of the most tasty lotus varieties found in China! Edible lotus are grown throughout China and are a basic component of the Chinese diet. 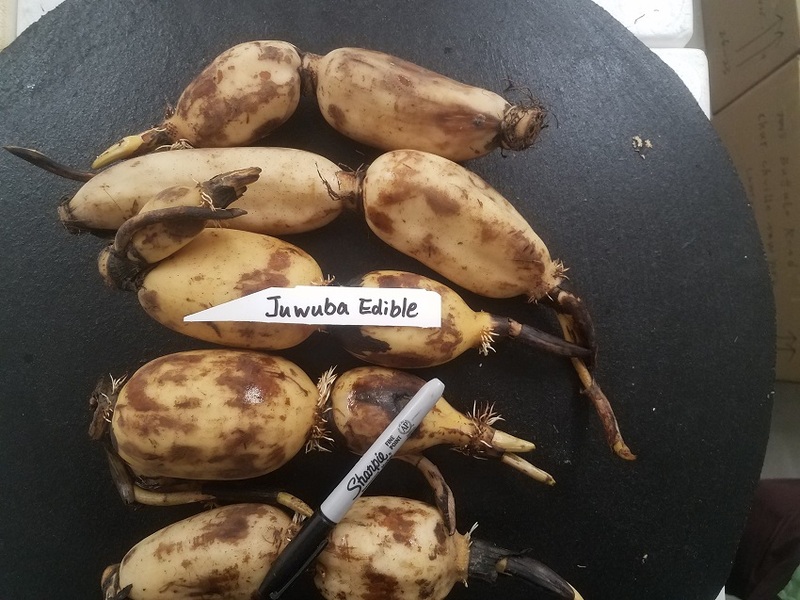 Varieties of edible lotus have been selected for their size, color, texture and taste. 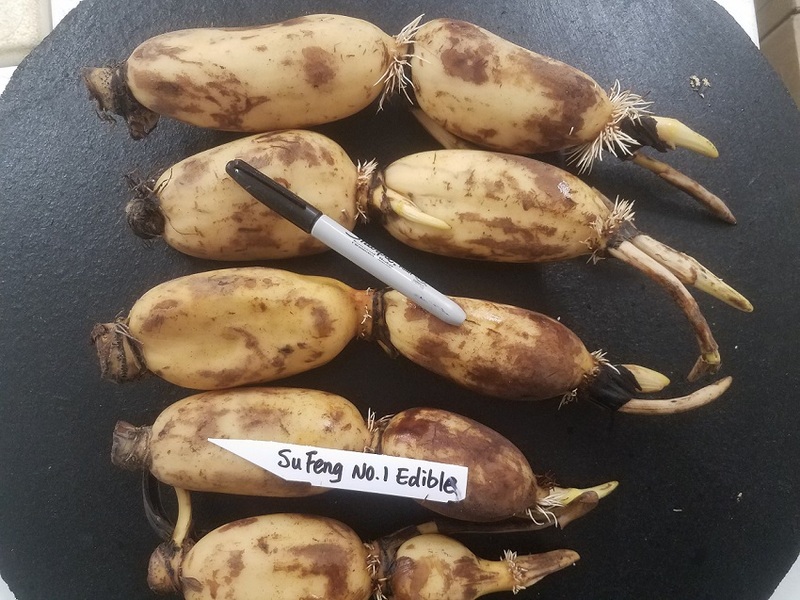 Bergen Water Gardens is offering starter edible lotus tubers for 2019. Plant these tubers in a mud pond or a man made pond which is 5′ x 20′ x 1.5′. By the end of September, there will be lotus tubers ready to harvest for your favorite lotus soup, pickle or chips! 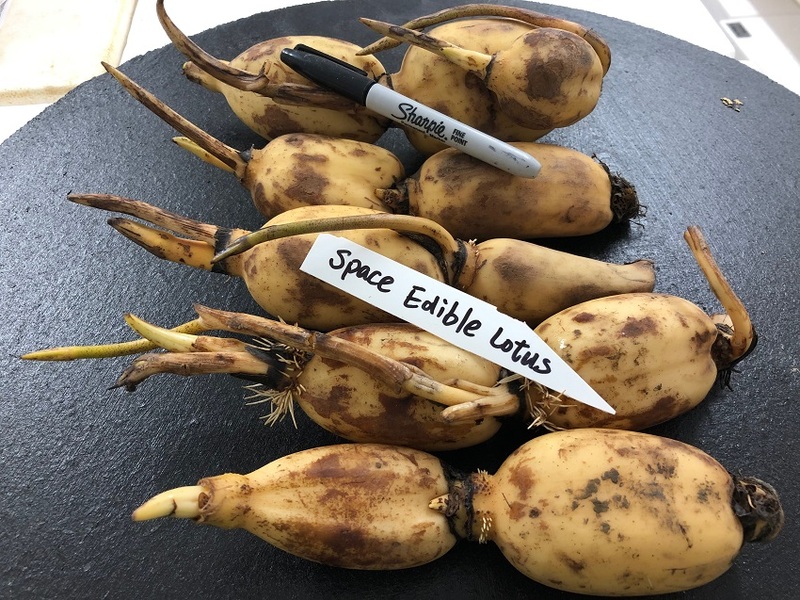 Follow Bergen Water Gardens here on our website or Facebook, as we grow edible lotus in 2019! This year our shipment of edible lotus tubers is exceptional! Clean, firm tubers, with excellent growing tips and a perfect shipping size makes 2019 an ideal year to plant lotus!